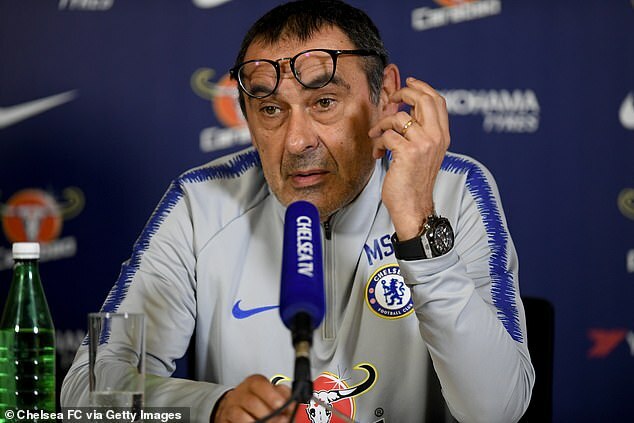 Chelsea boss Maurizio Sarri fears a reaction from Fulham following their sacking of Claudio Ranieri and has warned his stars not to fall victim to the new-manager bounce. Sarri will also go up against Scott Parker rather than his friend Claudio Ranieri, who was sacked on Thursday with the Cottagers sitting second bottom in the Premier League. 'I'm really very sorry,' Sarri said. 'I know very well his character, so I know very well that we will see him very soon on another bench. It was really a very difficult situation from the beginning.